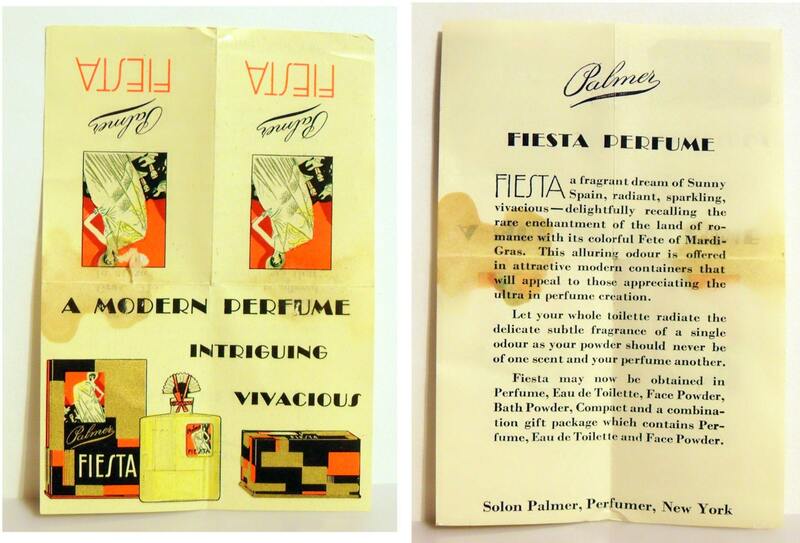 Vintage 1920s Fiesta by Solon Palmer Parfum Art Deco Perfume Bottle & Presentation Box. Bottle stands 4.75" tall x 2.5" wide x just over 1" thick. The box stands 5" tall. 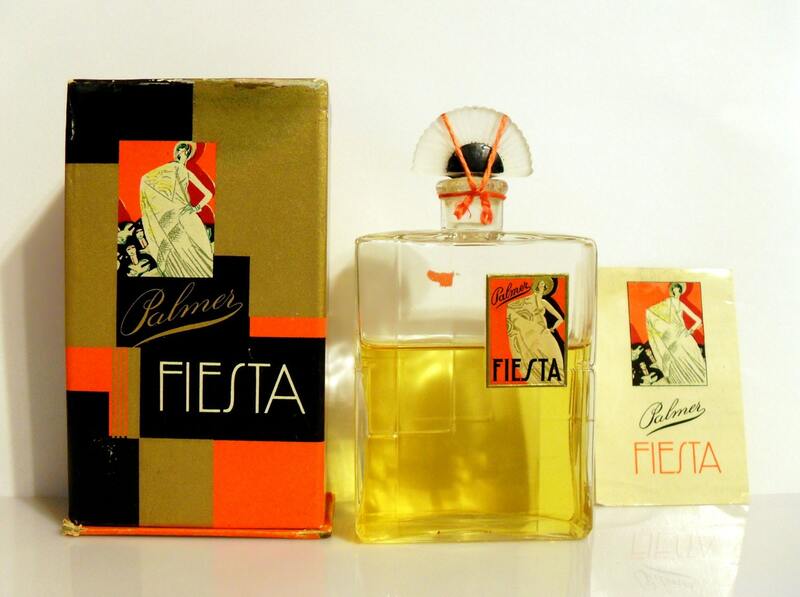 Fiesta was launched in 1928 and was classified as an oriental fragrance for women. 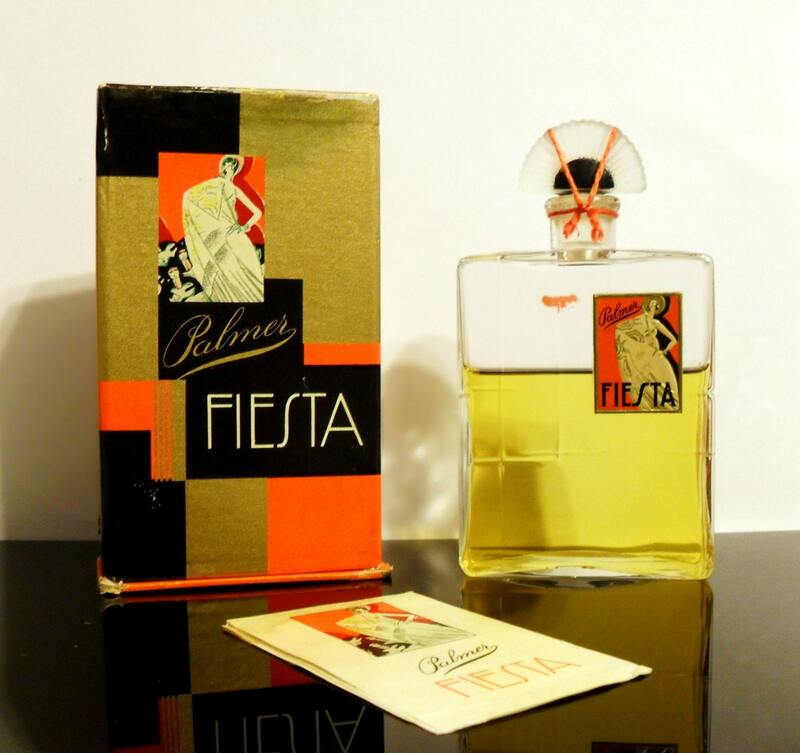 Fiesta is housed in a clear glass bottle, molded with lines, and topped by a frosted glass stopper in the shape of a pleated fan (with black enamel details), suggestive of the Spanish influence. The bold red, black and gold graphics remind me of those used by Myrurgia, a Spanish perfumery, who's most famous perfume, Maja uses a similar motif. Fiesta was discontinued sometime in the late 1930s and is extremely hard to find. 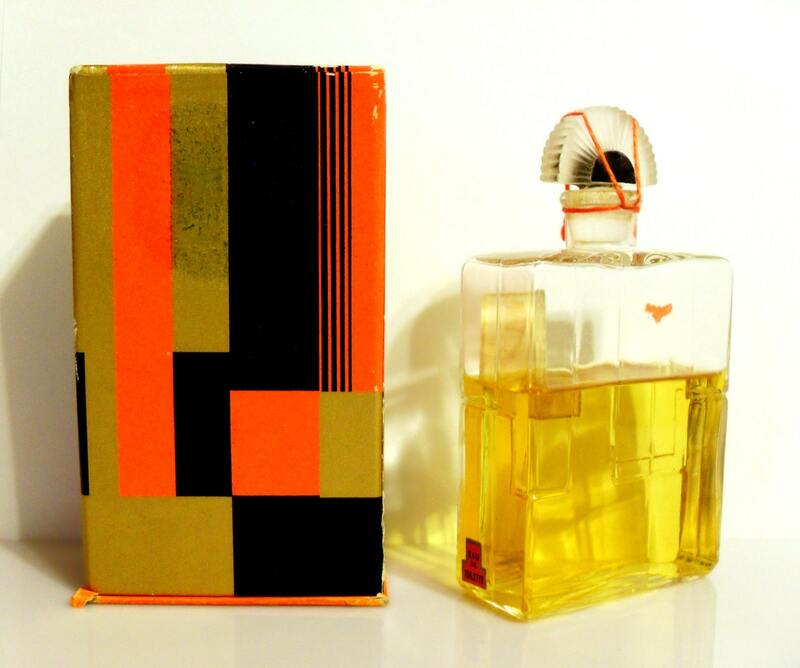 Just gorgeous bottle and box; you can still smell the exotic scent inside! Excellent packing; fast shipping; thank you!